Acer has announced the launch of its latest handset, the Liquid E Ferrari special edition, in India. The special edition Liquid comes with a modified Ferrari themed UI and thanks to the uber fast processor, the phone is claimed to be quite zippy at executing tasks as well. The phone is a Ferrari branded product and for the same reason would come with the usual stuff like Ferrari wallpapers, videos and tones. The phone uses a Snapdragon QSD8250T chip (which runs at 1Ghz) and boasts of features like a 5 MP camera and Wi-Fi. The Acer Liquid E Ferrari has a slot for microSD cards and comes with 8GB standard memory and can support up to16GB. The phone currently runs Android 2.1. But we assume Acer would issue a 2.2 update for this one in the not too distant future. 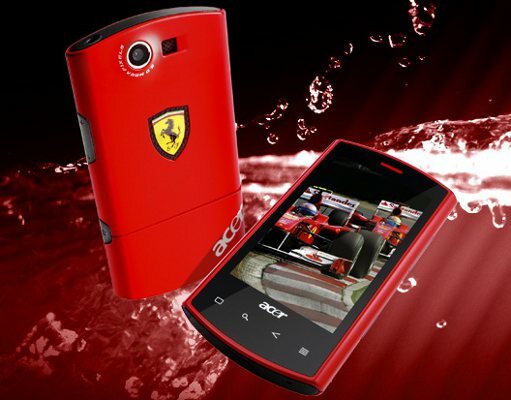 The Liquid E Ferrari edition smartphone will be made available for Rs. 29,999. There is a chance that the price may see a revision post Diwali. At present, Acer has two other smartphone models selling in India - one priced at about Rs. 9,999 and the other at Rs. 24,999. The company plans to introduce one more model in the mid-segment soon - the details of which are yet to be revealed.